Today was my first attempt of making a Plankstek. 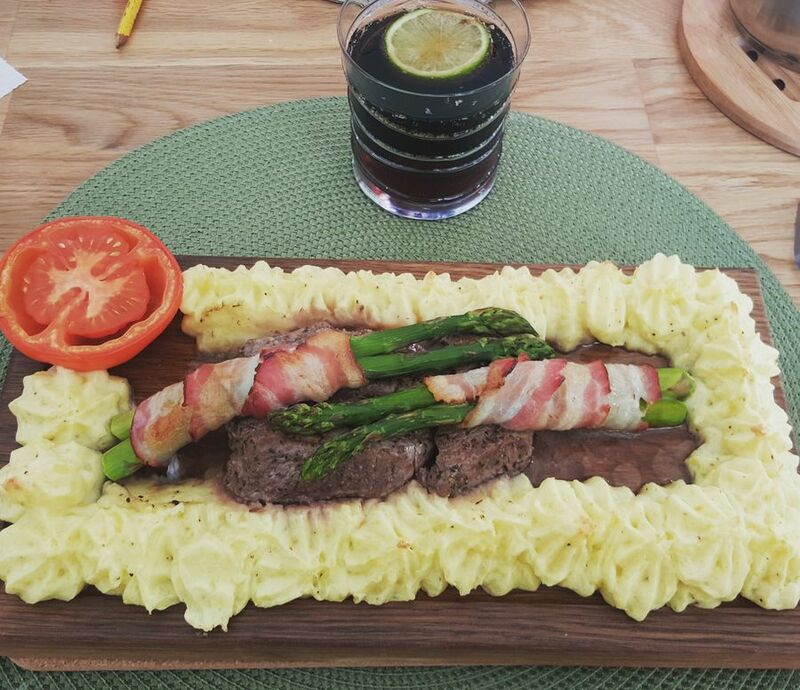 I used, as you can see, mashed potatos, fillet mignon, bacon, asparagus, tomato and once it was ready to eat, I poured some of Jensen's bearnaise sauce over it. Absolutely delicious!